Additional Update: The current ADA route from the east end of Lillis and Anstett Halls will be blocked starting tomorrow, July 20 through August 2, 2018. 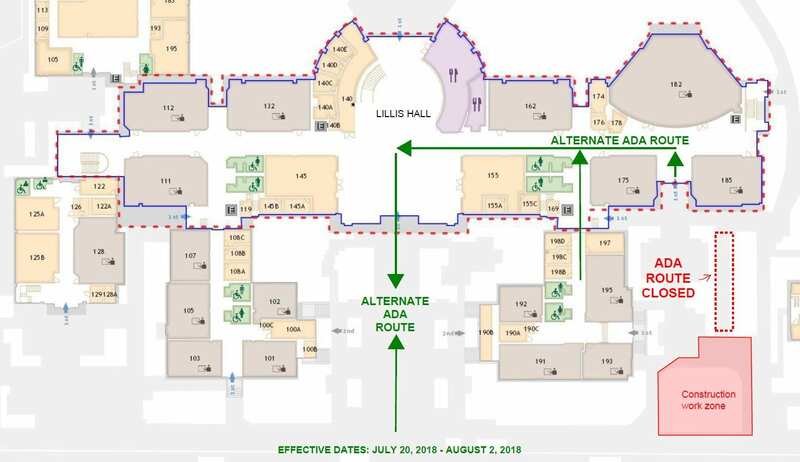 Refer to the map for an alternate ADA route through Lillis Hall. Signs will be posted at the two affected exits and around the construction work zone. 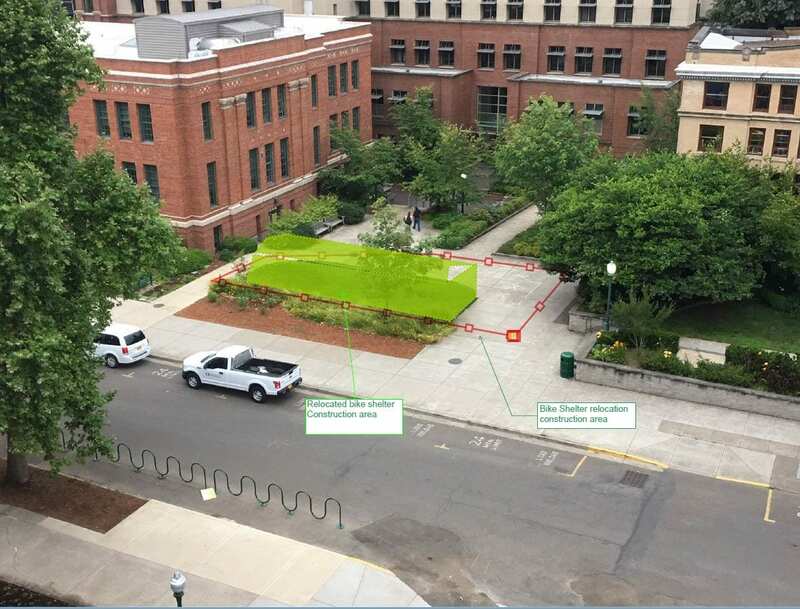 As part of the Tykeson Hall project, two covered bike structures will be placed in the landscaped bed between Anstett, Fenton and Lillis Halls. Access will continue to be routed around the fenced area. 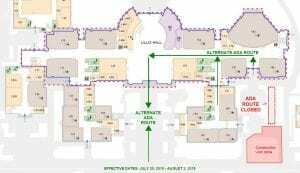 Demo sidewalk and excavate footings July 25. Form and pour footings July 26 – 30. Form and pour flatwork August 1 – 5. Set relocated shelter in place August 6. Fence removed and project complete by August 24.